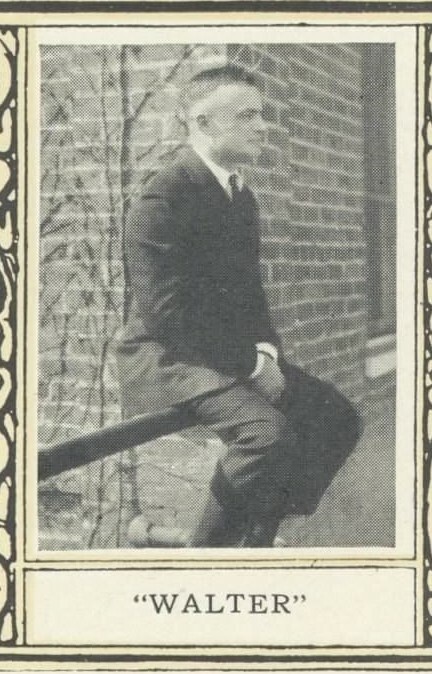 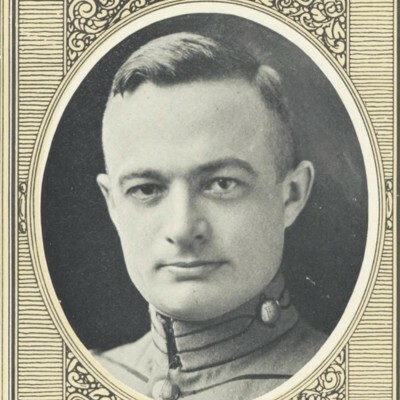 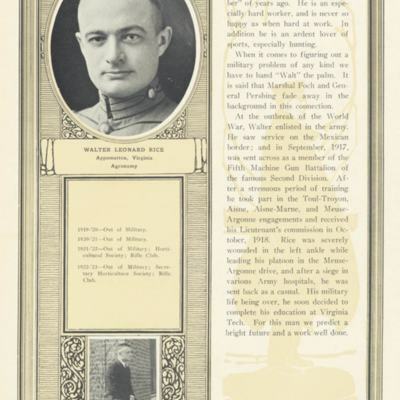 According to the 1923 VPI Bugle yearbook Rice was severely wounded in the left ankle while leading his platoon in the Meuse-Argonne Offensive. 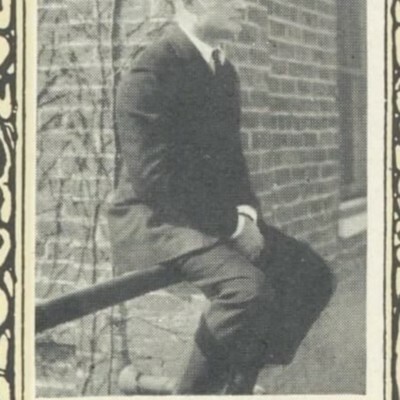 He was sent back to the United States as a casualty. 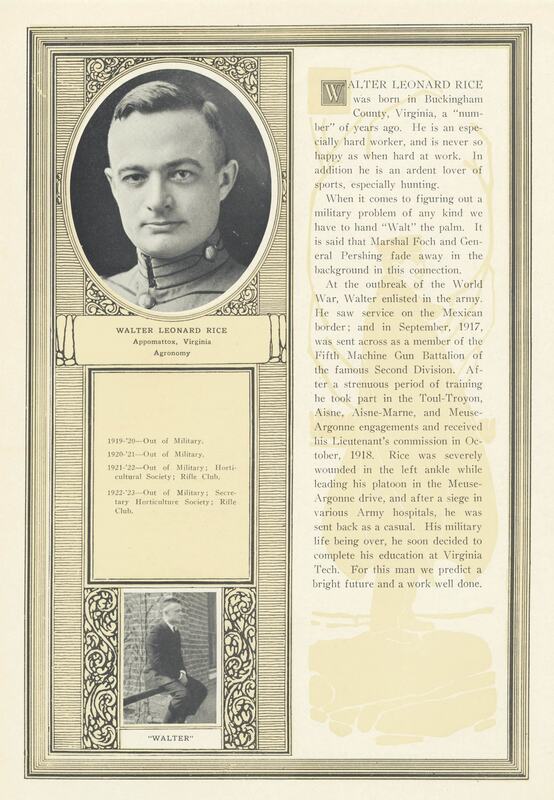 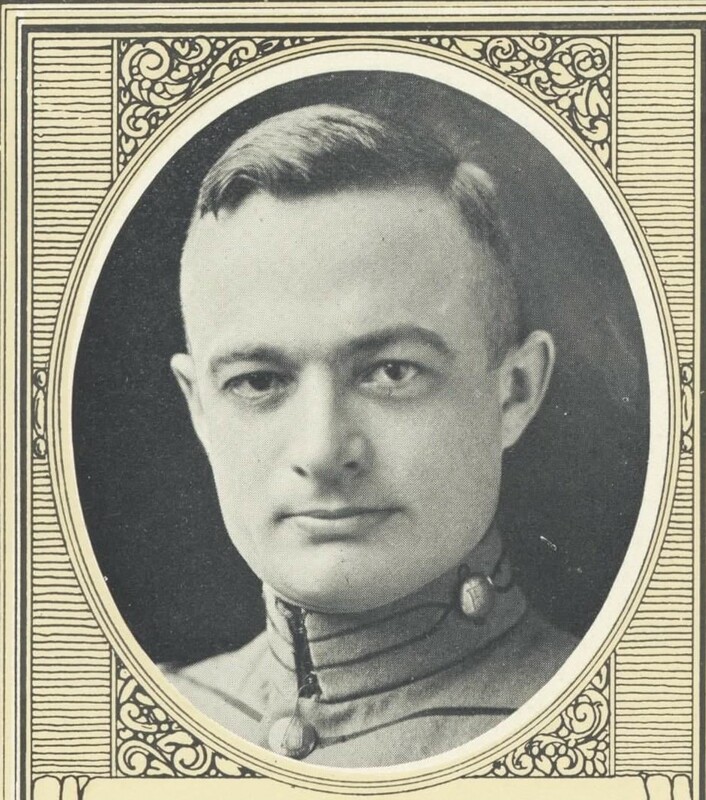 “Rice, Walter Leonard,” VPI in World War I, accessed April 19, 2019, http://vpiworldwarone.lib.vt.edu/items/show/1126.